The treaty that ended Russia's participation in the First World War was signed on March 3rd, 1918. When the Bolsheviks seized power in Russia in the Revolution of 1917, the country was still engaged in the First World War, allied with England, France and the United States against the Central Powers of Germany and Austria-Hungary with their Ottoman allies. The Russian army was disintegrating and the Germans had pushed far into the country and now occupied Russian Poland and Lithuania. An urgent priority for the new regime was to get out of the war. A truce was hastily agreed, to be followed by a peace conference, and Russian participation in the war in effect came to an end. Lenin was far more interested in putting down internal opposition than in fighting Germans. He had, after all, been infiltrated back into Russia by the German government in the hope of hampering the Russian war effort and the tactic would now pay off. 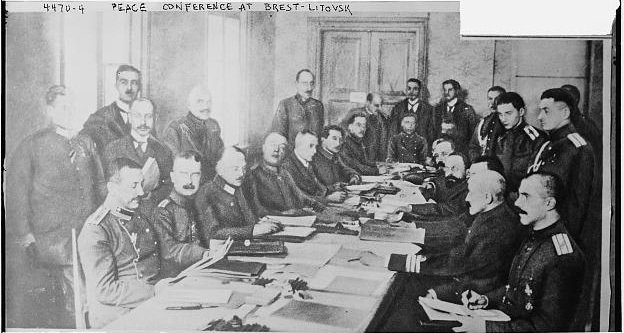 Held in the town of Brest-Litovsk in Poland (now in Belarus), where the German army had its headquarters, the conference opened in December. Trotsky, the foreign minister, led the Russian delegation. The German and Austrian delegations were headed by their foreign secretaries, Richard von Kühlmann and Ottakar Czernin, but an influential figure for the Germans was General Max Hoffman, Chief of Staff of the German armies on the eastern front. Talat Pasha represented the Ottoman Empire. Trotsky skilfully contrived to spin the discussions out in the hope of a Communist revolution in Germany and Austria which would save Russia’s bacon. 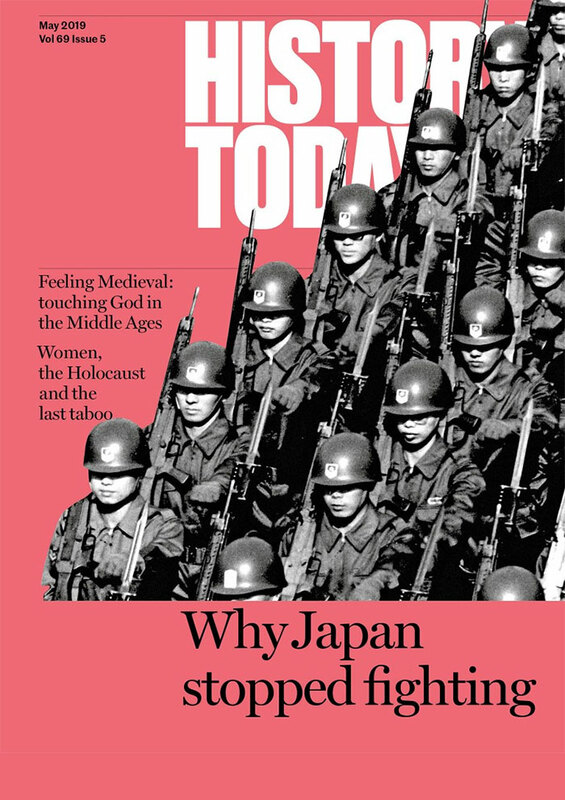 No such thing occurred and in February Trotsky announced to the stupefaction of the Central Powers’ delegates ‘neither war nor peace’, meaning that Russia would not resume fighting, but would not agree to give up territory or pay money. He thought the German army was exhausted, but he was wrong. The Central Powers simply ended the armistice and resumed their invasion, sweeping what was left of the Russian army aside, while a German fleet started menacingly up the Baltic towards Petrograd (the former St Petersburg). The Left Socialist Revolutionaries, who formed part of the government, had played a major role in the 1917 revolution and who commanded more popular support than the Bolsheviks, wanted to appeal to the Russian people to fight a guerrilla war against the invaders. 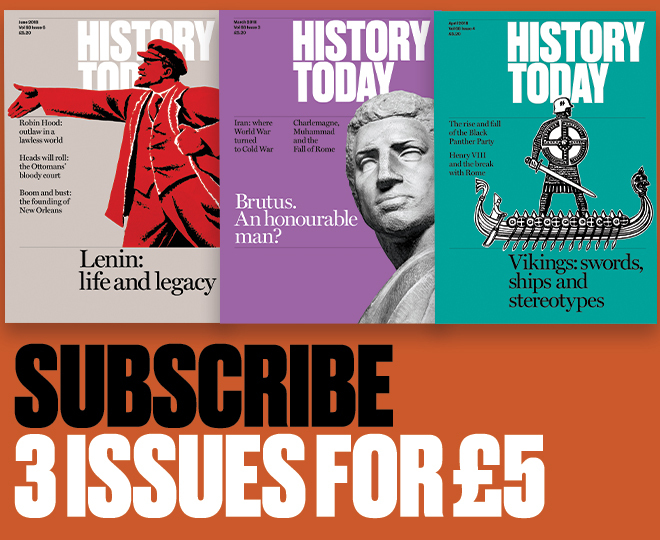 They regarded this as the best way of inspiring a communist revolution in the West, but Lenin feared that if the German advance continued the regime would be overthrown. He insisted that the enemy terms must be accepted. They were extremely harsh. Russia gave up close to half its European territory. Russian Poland, Lithuania and part of Latvia were ceded to Germany and Austria. The Ukraine, Finland, Estonia and the rest of Latvia were transformed into independent states under German protection. Bessarabia was to go to Romania and the Ottomans took the Armenian areas in the Caucasus. All Bolshevik propaganda in the ceded areas was to cease (a provision which the Bolshevik regime soon found ways round). Russia lost huge areas of prime agricultural land, eighty per cent of her coal mines and half her other industries. A follow-up agreement in August committed the country to pay six billion marks in reparations. Trotsky could not face the humiliation of signing the treaty and had a subordinate sign for the regime. There was turmoil in Russia. The Petrogradskoe Ekho evening newspaper, for example, reported that workers at the Tula armament factory considered the treaty an act of treason which was ‘destructive to the international proletarian movement and deeply harmful to the interests of Russian workers, the revolution and the Russian economy in general.’ Whether ordinary Russian factory hands ever talked like that seems doubtful, but certainly many Russians regarded the treaty as an abominable betrayal of their country. Brest-Litovsk had a role in provoking the civil war between the Whites and the Reds. So did the fact that the Left Socialist Revolutionaries withdrew from the government and left it entirely in the hands of the Bolsheviks, and some of them took the White side in the civil war. Fortunately for the Russian regime, the Allied Powers won the war later in the year and the treaty was abrogated, which at least saved Russia from some of the worst consequences, though Poland, the Baltic states and Finland were not recovered in the peace settlement at Versailles in 1919.